I love holidays because cause marketing campaigns tend to be clustered around them. Last week's holiday, Independence Day, was no exception. My favorite campaign last week? A hashtag campaign from Keep American Beautiful (KAB) and Fishbrain. The latter bills itself as the most popular mobile app for people who love fishing. They have four million users! There truly is an app for everything, right? 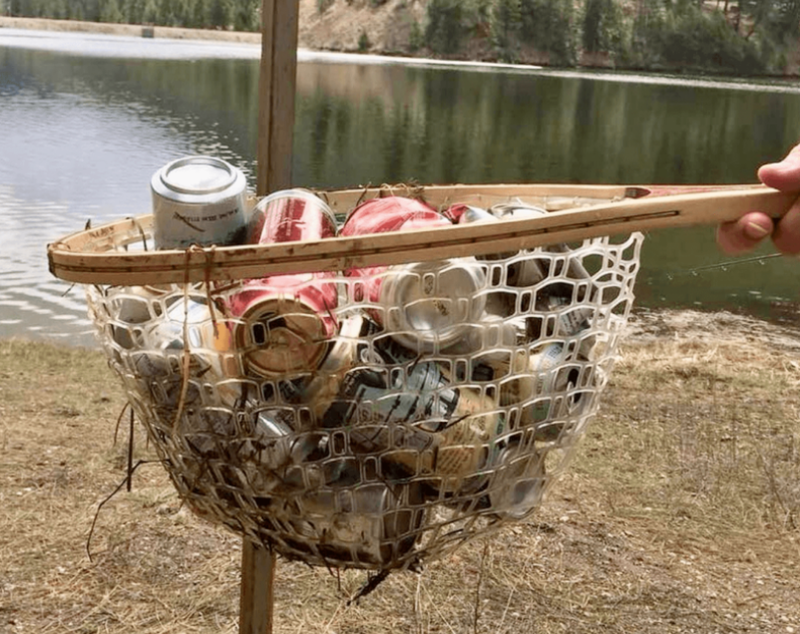 Working together, KAB and Fishbrain launched the largest-ever one-day crowdsourced audit of litter in the U.S. App users were encouraged to remove litter while fishing and upload the images with the hashtag #trashoftheday. I loved this campaign for two reasons. 1. I admire the activism. Yes, Independence Day is certainly a day for celebrating. But wouldn't it be great if it was also a day of service to make our country better? In this case, we get trash out of lakes, ponds and rivers. And thanks to the geo-location tech in the app KAB gets valuable intelligence on where litter is so volunteers know which areas to focus on. 2. They built on something that was already there. First, KAB worked with a company that has an established base of users. Smart move. Second, these users were already removing trash, taking pictures and using the hashtag #trashoftheday. Doubly smart. Finally, they capitalized on the fact that a lot of people fish on the Fourth of July. Gold star. The second point is particularly important. Starting from scratch is hard and not preferable. Go where the crowds are and build on what they are already doing. Don't build a fire and hope it attracts people. Find a crowd and turn a smoldering fire into a beacon that everyone can see. I'm not sure how this campaign did its first year, but I hope it happens again next July. KAB and Fishbrain are definitely fishing in the right spot. 🏳️‍🌈Companies like Vodafone are taking proactive steps to ensure they don't have a "Starbucks moment." And this bookmaker took steps at the World Cup to make sure Russia did. ⚾️This simple action-triggered fundraiser can be done with any sports team! Every time a Boston Red Sox pitcher strikes out a batter, Lexus will donate $50 to the Greater Boston Food Bank as part of the Strike Out Hunger program. The program has already raised $41,450. This is the third year in a row for the program. It follows two highly successful years, with Lexus donating a total of $147,100 to the food bank. 🚸Before the rallies protesting the separation of immigrant families at the border, clothing company Everlane hosted sign making parties at stores, promised $10 to the ACLU for every t-shirt or sweatshirt sold and made an upfront donation of $25K. 🐄Speaking of trash, farmers dump 43 million gallons of milk every year. Yet in Philadelphia alone 1 in 5 residents don't have enough to eat. Check out how hunger relief org Philabundence and farmers are working together to turn spilled milk into yogurt. 🍌I've discussed Kroger EDGE before, but this article highlights all the benefits of this cloud-based signage solution. In one demo that involved a special app, customers were able to give their smartphones instructions like: “Show me the item with the least sodium,” causing the shelf containing that product to light up. Soon we'll be asking, "Show me items that support cancer causes." Think about the potential! ☕️Philadelphia-based La Colombe Coffee Roasters has pledged to donate at least $100,000 to the National Park Foundation. La Colombe will donate five cents for every limited edition can of its Triple and Vanilla "draft" latte RTD beverages. 🦒A nice example of causejacking (aka nonprofits inserting themselves into breaking or trending news)! The San Antonio Zoo is trying to talk Toys R Us mascot ‘Geoffrey the Giraffe’ out of retirement to raise awareness of the extinction threat to giraffes. 🧦Socks are becoming the new tote bags when it comes to fundraising premiums. How do I always miss these trends? I could have been the sock-boss of Boston! 🧐A long, interesting article on how Walmart is taking a stand on hot button issues like guns, gay rights and immigration. Every big company is under enormous pressure and they're only one news cycle away from a bad decision.